Since the dawn of the automotive industry, manufacturers have used motor sport to sell their wares. In the early days it wasn’t just about speed, it was also about reliability – and even up to the late 1990s there were reliability trials in Australia, simply because conditions can be so extreme in some areas. Geely in China owns Volvo in Sweden and has recently launched a sub-brand called Lynk & Co. Volvo had a performance series called Polestar which was their competition to other manufacturers sports line such as the S and RS Audis, AMG line within Mercedes-Benz, BMW M series, R series from Jaguar and Abarth from FIAT. Volvo also used the Polestar name for it’s racing team with great success for many years – even with their wagons! 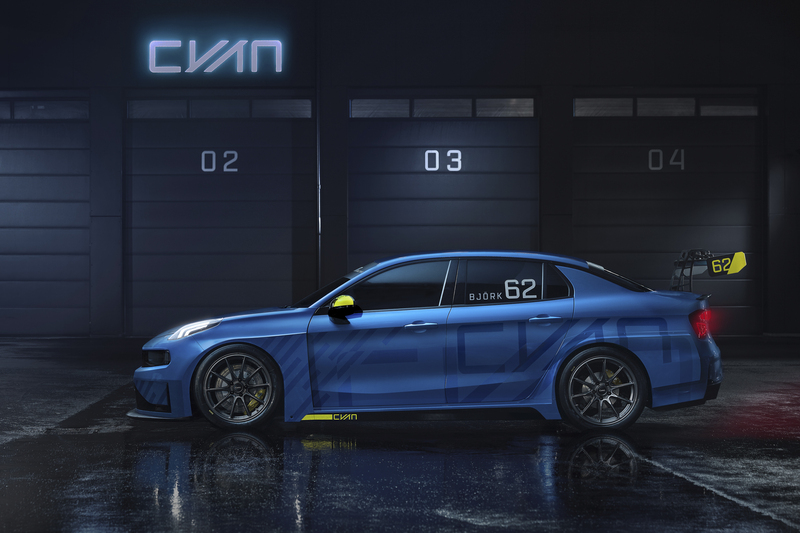 When Volvo made Polestar a line in its own right, the team was renamed Cyan – the colour of the Polestar badge – and they continued to race the Volvo S60 in World Touring Car Championship races. However there will be a change for 2019. Volvo’s parent Geely has persuaded them to develop a new sports car: the Lynk & Co 03 TCR racer. The plan is that once the car has proven itself on the track, they will tidy it up for road use. The 03 design has influences from several VW Group members: VW and Porsche for sure, and also hints of Alfa Romeo Giulia as well. The base car is a three cylinder 1.5 litre motor putting out around 150hp. Reports differ on the power output of the race car with some saying that the car will produce 350hp and others saying 500hp. A bucket of mods will be needed or more likely another engine from the Volvo/Lotus/Proton/Geely stable. Volvo do have other performance motors that in base trim produce 250hp, so it should be feasible, especially with Lotus in the group. TCR regulations specify a two litre turbo motor with up to 350hp, so it is possible that the reports mixed up the road and race car concepts – a road car could be competition for the Alfa Romeo Giulia Quadrifoglio and the higher performance RS/M/AMG models. Several reports from reputable media outlets written about the 03 TCR seemed to miss the point of the exercise: market and brand awareness. What better way to introduce a new brand by launching road cars with a motorsport campaign. For Geely, the risk is reduced because they have a motorsport partner with championships under their belt and base technology that has already been proven on the road and track. This is great news for racing fans as another entrant in the category will mean bigger fields and more action. For Geely, it is great marketing because they have a year to make headlines globally before they launch in the US in 2020. As many manufacturers have found, winning on a Sunday means sales on a Monday!